LADIES' PRAYER BREAKFAST & ACTS BIBLE STUDY BEGINS! BOOK OF ACTS BIBLE STUDY STARTS TUESDAY, MARCH 20! We will begin our 8-week Bible Study on the Book of Acts on Tuesday, March 20, 2018. All classes will be from 7-8:45 pm and will be held in the Parlor. The book of The Acts of the Apostles focuses on the empowering of the apostles by the Holy Spirit at Pentecost and their subsequent sharing of the gospel message "in Jerusalem, in all Judea and Samaria, and to the ends of the earth" (Acts 1:8). This bible study will be led by Rev. Galen Black. He is looking forward to exploring these scriptures and learning together how to apply them to our lives in the world today. Questions? Email Rev. Black or call 440-318-4505. HOLY WEEK @ WAYNE CHURCH! TIME TO ORDER EASTER FLOWERS! Please help us adorn our altar on Easter morning by contributing a lily, tulip, or daffodil in honor or in memory of a loved one. Plants may be taken home after the Easter Service. The cost is $10.00 per plant. If paying online, please choose "Other" and write in "Easter Flowers" and then submit the dedication you'd like printed in the bulletin to the church office. Thank you! Orders are due by THIS SUNDAY, March 18! LADIES' PRAYER BREAKFAST TOMORROW, MARCH 17! It’s nice to get together from time to time, to share, to pray and enjoy fellowship over a good meal. Many women have found these comforting and helpful in their faith journey. ﻿On Saturday, March 17 we will meet at 8 am in the Art room. If you’d like to bring something to share for breakfast, it’s appreciated but not required. Same goes for an RSVP. Questions or RSVP? Email Janet! CONTINUING WEDNESDAY, MARCH 21 @ 7PM IN THE PARLOR! Have you ever left Sunday worship with questions? Feeling a need to know more? The purpose behind sermon-based small group discussion is to build community together while focusing on the previous Sunday’s sermon. But it's more than just a rehash of the sermon; the goal is to take the main point from the sermon and dig deeper into scripture and it's application in our everyday lives. 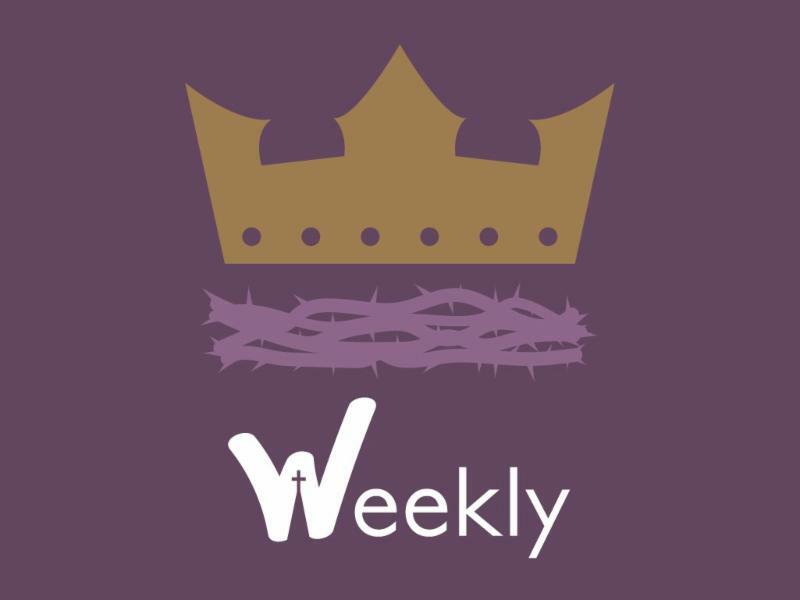 Throughout the season of Lent, you are invited to join the discussion every Wednesday at 7PM. Discussion guides will be provided each week to help you discern what the message is saying to you. Missed the sermon on Sunday? Just take a few minutes to listen online before joining the group. Childcare provided in Preschool Room, #E202. EASTER EGG HUNT, SATURDAY, MARCH 24 @ 10AM! Don't miss our annual non-competitive Easter Egg hunt! For families with children in 4th grade and under on our front lawn. There will be a special toddler egg hunt as well. Help is needed at 9:30AM for hiding the eggs. QUESTIONS? Want to help? Email Janet! LADIES' PAINTING WITH A TWIST RESCHEDULED! Women of Wayne Church Paint Night at Painting with a Twist in Wayne has been rescheduled for Friday, March 23rd from 6:30-9:30 PM . If you were not previously signed up to join us, but would like to now take part in this fun event, please email Katie Quigley and Betsy Sherretta and they will let you know how to register. During the evening, there will be a brief time of fellowship followed by painting. All levels of artistic abilities are capable of enjoying this activity!! Not registered? Email Katie & Betsy! WOMEN'S EVENING BIBLE STUDY CONTINUES APRIL 3! 6-week study of Ruth with the book, A Woman Who Doesn't Quit: 5 Habits from the Book of Ruth by Nicki Koziarz. Save the date for the next Lunch & Learn (formerly the Senior Luncheon) on April 19! Suggested donation of $10. Please RSVP to the church office by the Tuesday before the luncheon! RSVP to Susan Walter – s.walter@wayneumc.org or call (610)688-5650. We will be serving as a collection point for T&E Care’s annual clothing drive yet again this year. Starting on Friday, March 23, we will have drop-off bins located in the church office lobby and the narthex for clothing donations. PLEASE DO NOT BRING IN CLOTHING DONATIONS BEFORE MARCH 23! A huge THANK YOU to all the volunteers that worked our last Chosen 300 meal hosting on Saturday February 24 th. It was a great success and Wayne Church continues to receive accolades from the Chosen 300 staff for our service. We served 140 individuals in need and also provided clothing donations and distributed health kits. It was yet another amazing group effort. Kudos to our cooks, shoppers, worship team, drivers, servers, and people who donated funds and food. Our next hosting is Saturday April 28th. If you are interested in participating in this wonderful ministry please reach out to Kimm Ebersole and Agnes Fischer. March & April slots are open! We need YOUR HELP to maintain our food pantry services! We are looking for volunteers who would be willing to help during Food Pantry Distribution Hours (Wednesdays and Thursdays, 9am – 1pm). You can even sign-up for a half-shift (9-11am or 11am-1pm)! Duties entail handing out Food Pantry bags and greeting visitors. (You can bring a book, tablet, or laptop to pass the time!) Bear in mind that this is a vital ministry! Our volunteers are the face of our church to those who are in need, and your friendly face can go a long way toward making our recipients feel comfortable and welcome!